Summer is coming soon — bringing sunshine, warm temps and summer reading lists. Guest blogger Hannah Ehrlich, Director of Marketing and Publicity for Lee & Low Books and Publisher Liaison to We Need Diverse Books, explains why it’s important to include diversity in summer reading. A few years ago, my boss’s son brought home his summer reading list. My boss scanned the list, and what he found was not surprising: the books were almost exclusively by white authors about white characters. Even in extremely diverse schools, this is often the case. Lists compiled without considering diversity frequently end up without it. Many summer reading lists default to old classics, while updated summer reading lists may stick to major bestsellers and award winners, just a fraction of which are diverse. 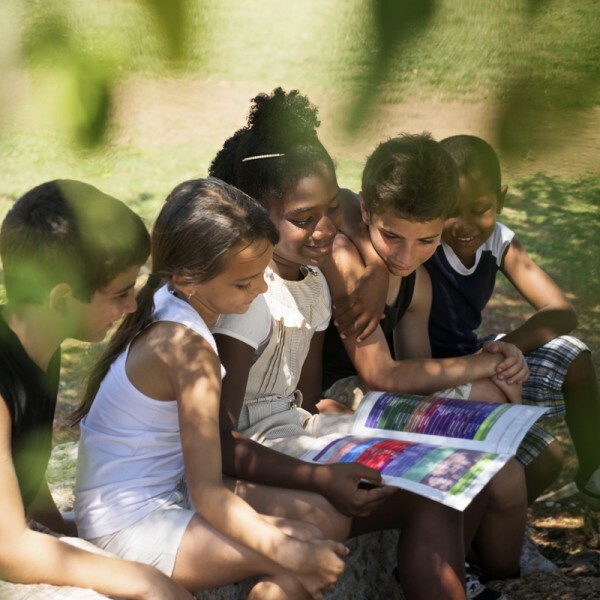 Diverse books can help address summer slide. Research shows that students of color are disproportionately affected by summer learning loss and that this loss is most pronounced when it comes to reading. Summer slide contributes significantly to the widening achievement gap that leaves so many students of color behind, year after year. 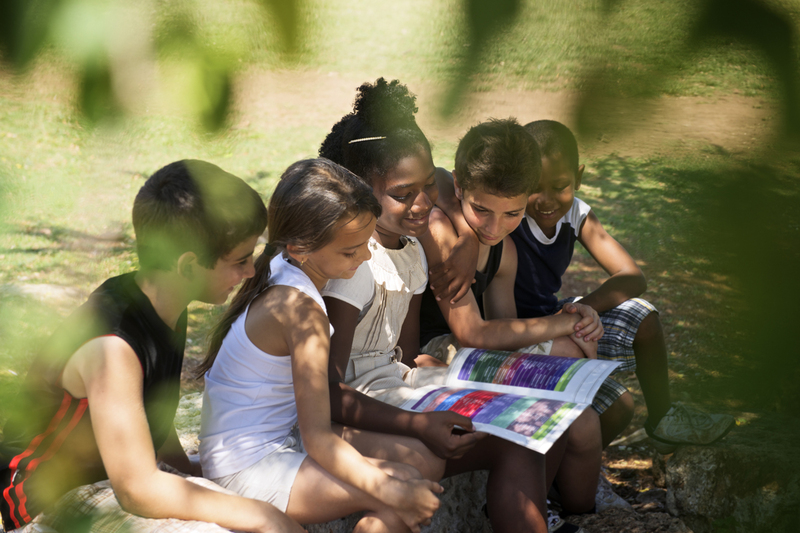 Offering children summer reading choices in which they can see themselves can encourage reading during the summer and help stop summer learning loss. In fact, a study by the Race Matters Institute showed that letting black male students choose and take home their own books for summer reading led to scores 35–40% of a grade level higher on the state’s reading test. While diverse books alone will not close the achievement gap, they can be an important step to encouraging reading during a critical time (summer) among those most susceptible to falling behind. Summer reading lists sell books. Books on summer reading lists are often carried and highlighted by local booksellers, and multiple copies are purchased and prominently displayed by local libraries. In addition, books that appear on one list are likely to appear on others. A book’s appearance on summer reading lists can help propel it to commercial success. This boost is especially important for diverse books, which often get smaller marketing budgets and are overshadowed by the myth that diverse books won’t sell. Summer reading lists present a unique opportunity for educators to help shape the current book market by creating a demand for high-quality diverse books and, as a result, encouraging the continued publication of them. Diverse books should also be on summer reading lists for the same reasons they should be everywhere else: they allow all students to find books in which they see themselves; they encourage intercultural understanding and pro-social development; and many of them are simply wonderful books that should not be missed. We Need Diverse Books: This hashtag-campaign-turned-nonprofit has become a fantastic resource for information on diverse books. Their summer reading series pairs popular and classic summer reading books with more diverse titles that address similar themes or topics. The Cooperative Children’s Book Center has links to all of these awards and more. Teaching Tolerance’s Project Appendix D: Teaching Tolerance created Project Appendix D to help teachers choose more inclusive texts to use within the framework of the Common Core. It provides a tool for selecting diverse texts as well as several recommended lists broken down by age. Existing Summer Reading Lists: Several organizations, including the New York Public Library Summer Reading Lists, American Library Association Summer Reading Lists and NPR, have already compiled excellent, inclusive summer reading lists. Today there are many great diverse books being published and many ways to find them. It’s up to us to make sure summer reading lists include these books and engage all readers. Hannah Ehrlich is the Director of Marketing and Publicity for Lee & Low Books, a children’s book publisher specializing in diversity. She serves as a Publisher Liaison to We Need Diverse Books and speaks often about the need for more diverse books. You can find her on Twitter.